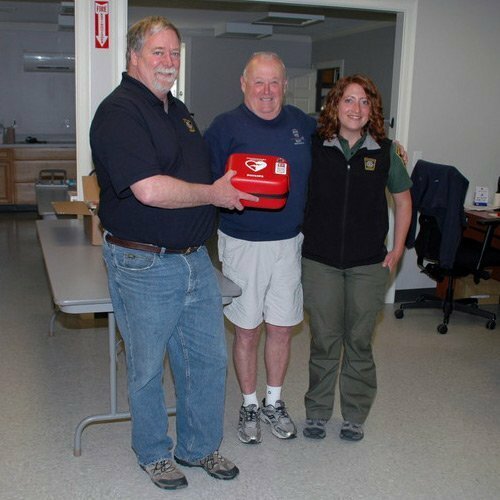 On May 5th the Barnstable Town Council accepted a gift from BARS in the memory of Dayle Hoxie, of two Philips heavy duty portable defibrillators. These will be used in the trucks of the Town of Barnstable Marine and Environmental Affairs Department. BARS is thankful to all who donated, from BARS and the Hoxie family, to this most worthy endeavor. 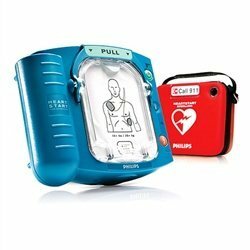 These life-saving devices can be used for adults and children. Pictured left to right, Dan Horn, Director, Barnstable Marine & Environmental Affairs, Steve Hoxie from BARS, and Amy Croteau, Natural Resources Officer.